A great gift for mom on Mother's Day or her birthday! 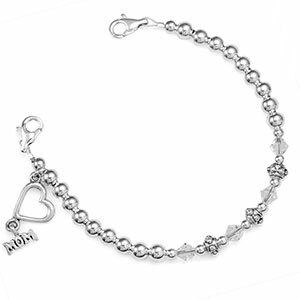 Bracelet is made of Swarovski crystals, silver plated brass beads, rondelle zinc spacers, and an antiqued heart & mom charm. Clasps are 316L stainless steel. Bracelets are available in 6, 7, & 8 inch sizes. NOTE: Due to manufacturing shortages, silver plated spacers may vary in style from time to time. 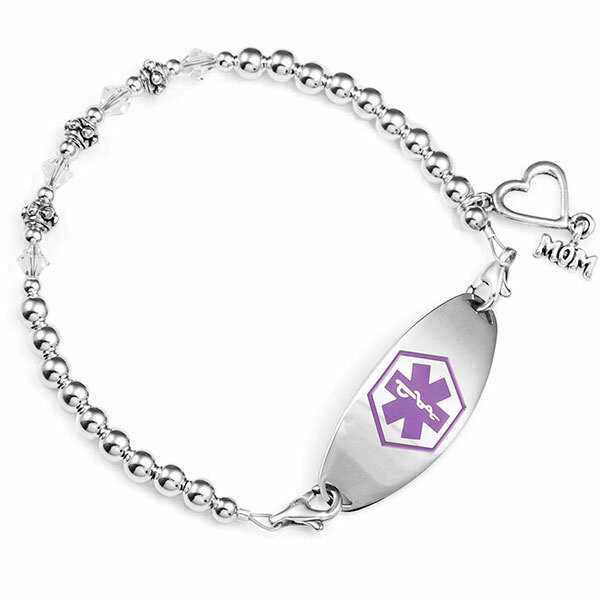 Bracelet attaches to any engravable plaque you will see on the next page once you add item to cart. 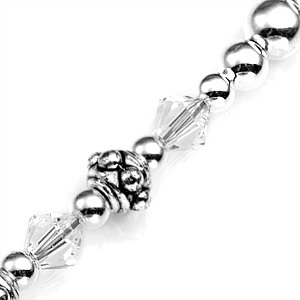 Remember to add the bead length to the plaque length to achieve total length of bracelet. Plaque not included - please order separately. This unique bracelet has been made for you by a member of our StickyJ creative design team. You can be assured that it is one of a kind, and cannot be found elsewhere!